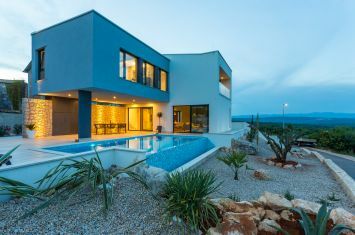 Házak - Város Krk - EXCLUSIVE URBAN VILLA WITH POOL AND SEA VIEW! 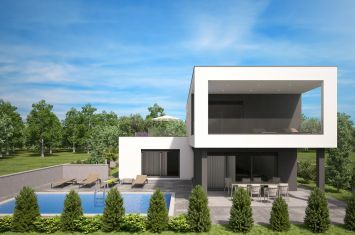 EXCLUSIVE URBAN VILLA WITH POOL AND SEA VIEW! 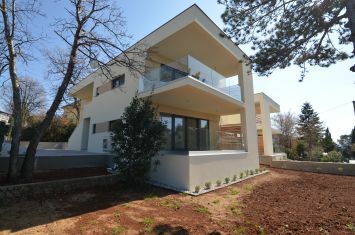 The island of Krk, Krk, wider area, brand new, exclusive urban villa surface area 240 m2 for sale, with pool, sea view and a landscaped garden, on a plot of 550 m2. 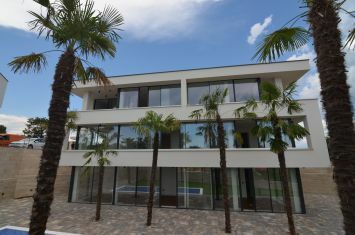 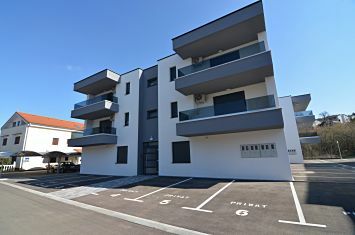 The villa consists of ground floor with living room, kitchen, dining area, staircase, two bedrooms with private bathrooms and covered terraces of 4.81 m2, toilet, covered porch, terrace of 21.66 m2 and swimming pool of 30.20 m2 and first floor with one bedroom, gym, bathroom, toilet, staircase, loggia of 5.53 m2 and a terrace of 27.64 m2. 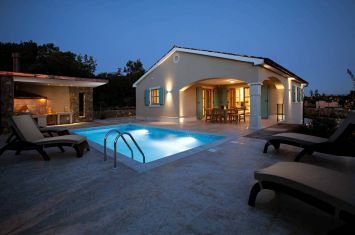 Top quality construction and equipment, aluminum panoramic glass walls, other PVC joinery with triple-glazed glass and a reflex effect, high quality interior doors (220 cm high), security doors, high quality ceramics and sanitary ware, underfloor heating in all rooms, heating - heat pump Viessmann air-water, cooling in all rooms - FENCOIL system, telephone connection, satellite TV, Internet, alarm and video surveillance. 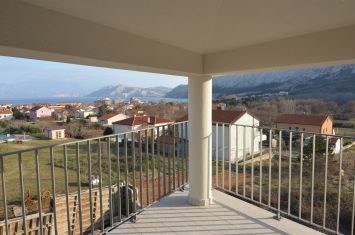 Distance from the sea 1300 m. Attractive location!